A coalition including government and NGOs has met to discuss plans to save the species from extinction and ensure their welfare. In 2010, the last Javan rhino in Vietnam was found dead. 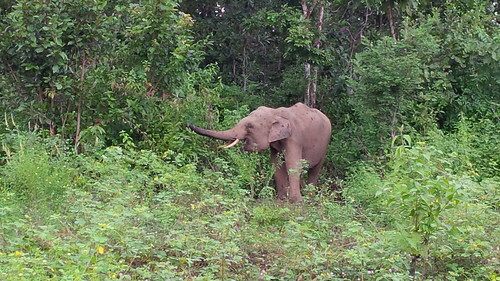 Despite being guarded by armed rangers in a protected forest, it had been shot. Its horn – prized as a medicine – had been hacked off, and its corpse left to rot by a creek. Perhaps because of this stark lesson, the country is now on red alert to save another of its most iconic mammals, the Asian elephant. Wild populations are believed to have fallen to below 100, a figure conservationists believe is not viable to ensure their survival, while fewer than 80 live in captivity, mostly providing rides for tourists. The solution, supported by a wide-ranging coalition of animal welfare and conservation NGOs as well as numerous government departments, is the establishment of the Elephant Conservation Centre (ECC) in Dak Lak. The centre is intended as a sanctuary for rescued elephants and a breeding facility where a stable population of elephants can be maintained for possible reintroduction to the wild. 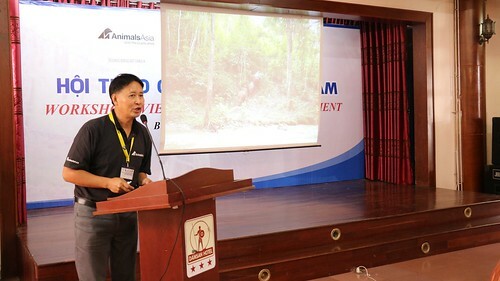 This week (January 11 to 13), NGOs, government departments, vets, tourism companies, elephant owners, mahouts and animal managers met in the central highlands province of Dak Lak at a conference organised by Animals Asia, Elephant Care International, North Carolina Zoo & Wild Welfare, to discuss welfare standards at ECC and for those elephants in the tourist industry. Delegates attending the conference came from around the globe including Thailand, Myanmar, Laos, Britain, Holland, India, Sri Lanka and the US. “Everyone is aware of the gravity of the situation for Vietnam’s elephant populations. If nothing is done, there is a very real chance the species will be extinct in the near future. This is the last chance saloon, but the positive news is we are all working together. Government are serious about this as are the owners of captive elephants. Everyone has a stake in making sure the unthinkable doesn’t happen. In order for the breeding programme to be successful and the elephants to be returned to the wild, animal welfare standards have to be at their highest. 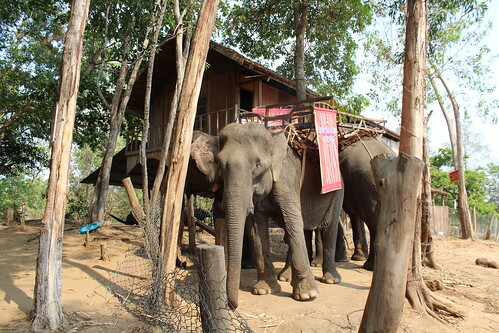 Similarly, for the tourism industry to be sustainable, it must end the current elephant riding practices and provide a welfare friendly alternative which sees a significant improvement in the welfare of the captive elephants or risk losing their customers, their animals and ultimately their livelihoods. “Elephants in the tourism industry throughout Asia are commonly viewed as a business asset and literally worked to death, while those in captive facilities are often chained up for the majority of the day. But it’s a dying industry. Tourists don’t want to fund cruelty and if the industry doesn’t change, they will lose their livelihoods. While construction of the ECC has barely begun, two residents have already moved in – highlighting just how badly the facility is needed. For now, elephant calf Gold and juvenile Jun have the run of what little sanctuary exists. Gold was discovered trapped in a well dug by loggers and became a resident at the sanctuary when attempts to reintegrate her with a local herd failed. 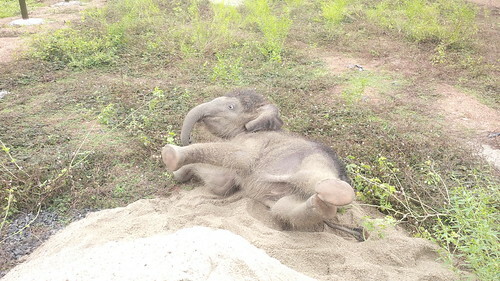 Meanwhile, Jun’s leg and trunk were injured when he was caught in a hunter’s snare. Numerous operations have helped both wounds to heal though the resulting mutilation mean he may have to spend the rest of his life in the care of humans. Without the fledgling ECC, both animals would either have died, spent their lives chained up in underfunded zoos, or undergone “phajaan” in order to ferry tourists around the central highlands. 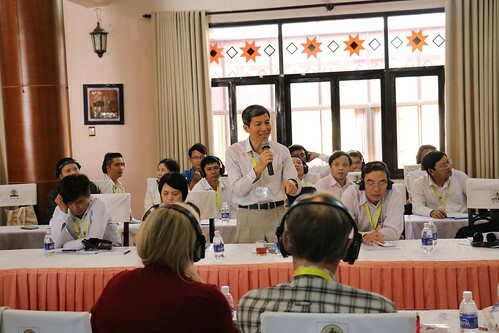 It is hoped the ECC can be a key part of preventing the same fate befalling Vietnam’s entire elephant populations.